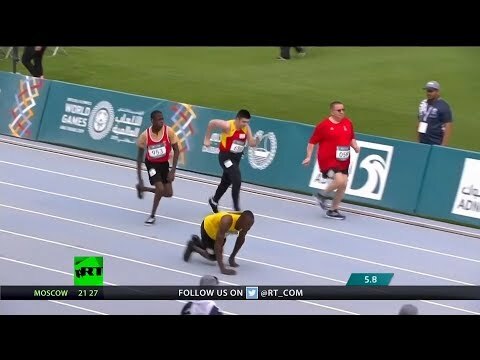 17-year old Jamaican athlete Kirk Wint, who runs only on his arms and hands, took home the second place hardware at the Special Olympics in Abu Dhabi. Wint crossed the finish line in 14.89 seconds, narrowly missing out on gold. The 7th annual Harley and Snow event took place in Italy with a new track record set by American hill climber Austin Teyler. On his KTM, he crossed the finish line in 7.14 seconds. In the KHL playoffs, Salavat Yulaev edged out number one seed Avtomobilist 2-1 in overtime. RT America’s Steve Christakos reports.